Its all been a bit secret squirrel here at Vergette Gardens. We have been product testing a brand new plant support, which is being launched at RHS Chelsea Flower Show this week. Why all the secrecy? The reason for the hush hush nature of the trial is that this brand spankingly new support has also been shortlisted for the The RHS Chelsea Garden Product of the year. The Plant Prop, designed by Plant Supports UK, is the only support I have ever come across designed specifically for use against walls. If for some reason you can’t use vine eyes, wire or trellis, those clever chaps at plant supports have designed this just for you. Now a new product and a clever idea are all well and good but does it actually work! Well having tried out the Plant Prop ,I’m happy to say, “yes it does.” I trialled the Plant Prop 28cm x 151cm A0162 which has two prop bars to hold plants at different heights. I used the plant prop to hold up a rather robust rose who’s main aim in life seemed to be snaring unwary postmen. Given the weight and strength of growth on the rose I did wonder if I was asking too much of such a delicate looking support. 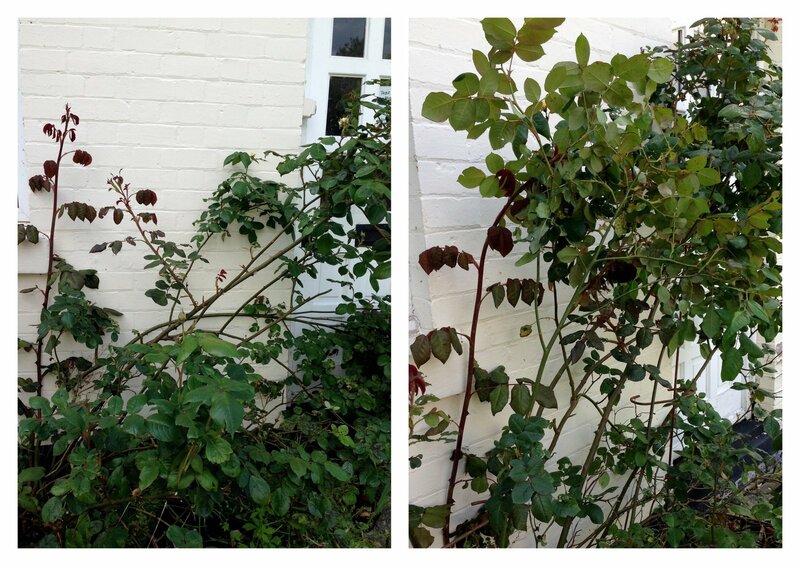 During the ensuing tussle of “Gardener v Rose”, the 8mm steel bar held its shape perfectly and hasn’t subsequently bent or bowed under the weight. The dog leg at the bottom of the prop serves two purposes, one it adds extra stability and two makes it a doodle to push into the soil. So the big question is, would I spend my hard earned money on this new support? Most assuredly, put me down for a pack of three!